Synopsis: A man seeks vengeance when a pair of corrupt police officers allow his wife’s killer to go free. 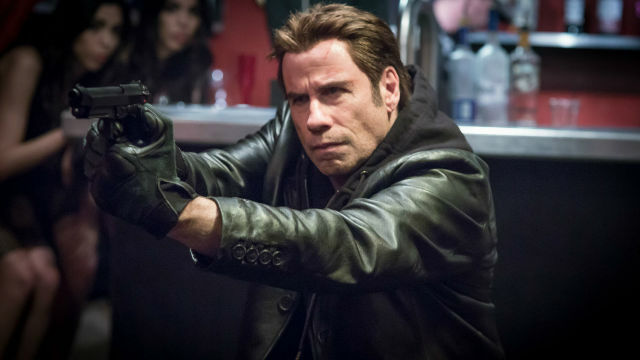 The direct-to-DVD release of a sorry piece of work called I Am Wrath indicates that John Travolta’s faltering movie career continues to struggle in low gear. He looks defeated, like a man who is all too aware of the shortcomings of the material with which he has to work and who realises that there is little he can do to salvage anything of worth. Apparently, He took the part when Nic Cage bailed because he had too many other crap movies to make and, let’s face it, when you’re reduced to picking up Cage’s cast-offs you know your career is in its death throes. I Am Wrath drones along to a dull metronomic beat, plundering better movies for tricks and ideas to supplement its threadbare plot. It’s helmed by Chuck Russell, a director whose career also looked like it might be going somewhere when he was making big-budget hits like The Mask and Eraser back in the 1990s. He does a serviceable enough job, but I Am Wrath remains a horribly generic thriller, and one can almost picture he and Travolta hunched on set together, bemoaning the passing of the way it used to be. 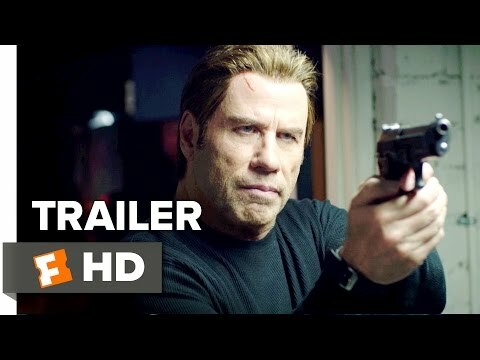 Travolta (Saturday Night Fever, The Forger) plays Stanley Hill, a former special ops agent who now works in the car industry. His wife, Vivian (Rebecca de Mornay – Risky Business), who is employed as a Governor’s researcher, seems like a nice sort, but we never really know for sure because she’s given just two scenes to make an impression before dying in an apparently random attack while meeting Stanley at the airport. The attackers kill her, but spare her husband even though they know he got a good look at one of them. Clearly they haven’t seen too many low-budget revenge thrillers. Stan duly picks out killer number one (Luis Da Silva Jr – 21 Jump Street) from a police line-up, but the police let him go. Don’t worry, Stan, they say, he’s a street punk, leave it a year or two and he’ll probably be dead, anyway. Stan smells a rat, and calls on his buddy, Dennis (Christopher Meloni – 42, Man of Steel), a former comrade-in-arms who now works as a barber. Stan and Dennis must be like a pair of drunks whose respective battles with the booze go smoother when they steer clear of one another, because when our middle-aged heroes get together, the bodies quickly start to pile up. I Am Wrath is the kind of movie that constantly raises questions in its audience’s mind. Why, for example, would a pair of corrupt cops arrange for the killer they are shielding to be in the line-up? Why does the grieving Stan immediately go over to a bible he has just contemptuously thrown across a room to see at which page it fell open? How is it that he and Dennis avoid killing innocent bystanders when they engage in a free-for-all gun battle in a crowded nightclub? I’ll tell you how and why – for the same reason that Vivian’s killers don’t also kill the only witness to their crime: because the writer of this rubbish simply doesn’t know how to find a credible way of moving the story forward. Seriously, if I Am Wrath was an article of clothing, it would be a string vest, so plentiful are the holes to be found in it. The dialogue is atrocious, so that, for once, the incessant background score that so frequently makes it difficult to hear what’s being said is something of a blessing. Seasoned pros Travolta and Meloni, who are both vastly superior to their material, do manage to create some amiable chemistry together, and the film’s plentiful action scenes are directed with practiced ease by Russell, but these minor compensations do little to atone for everything else that is irredeemably bad about I Am Wrath.